Firestone Vintage Tires Vintage Bias Ply 17 tires are the worlds best selling line of vintage bias tires. Firestone Deluxe Champion quality and reliability is legendary. DOT and ECE approved where applicable. Made in original molds to maintain authenticity. Authentic Firestone lettering embossed in the whitewalls where applicable. Backed by our life of the tread warranty. BF Goodrich's Truck or Military Vintage 2 tires come in many popular sizes in authentic tread designs. Provides the most extensive line of vintage truck tires in the world. Backed by our life of the tread warranty. Coker Classic Tires' Nostalgia radial whitewall 2 tires. Worlds first modern radial construction wide whitewall tires. DOT and ECE approved. Vintage profile perfect replacement for bias ply improved handling and ride over bias ply. All season tread design. Since 1995. BF Goodrich Vintage Tires Vintage 11 whitewall and blackwall tires are made in the USA. Most extensive line of original equipment sizes available in the world. DOT and ECE where applicable. Smooth whitewall tires (no lettering) Backed by our life of the tread warranty. Firestone's Truck or Military NDT tires come in many popular sizes in authentic tread designs. Provides the most extensive line of vintage truck tires in the world. Backed by our life of the tread warranty. Firestone Vintage Tires Vintage Bias Ply 16 tires are the worlds best selling line of vintage bias tires. Firestone Deluxe Champion quality and reliability is legendary. DOT and ECE approved where applicable. Made in original molds to maintain authenticity. Authentic Firestone lettering embossed in the whitewalls where applicable. Backed by our life of the tread warranty.Lettering in whitewall. Firestone's Truck or Military NDCC tires come in many popular sizes in authentic tread designs. Provides the most extensive line of vintage truck tires in the world. Backed by our life of the tread warranty. Firestone's Truck or Military Vintage 1 tires come in many popular sizes in authentic tread designs. Provides the most extensive line of vintage truck tires in the world. Backed by our life of the tread warranty.Sizes 600-20 and 650-20 are available in whitewall or black. Used on vintage military vehicles. NDT (Non Directional Tire) treads. 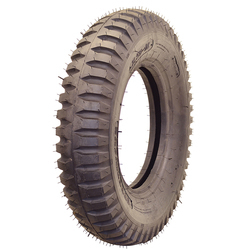 Tornel's Truck or Military HWY 2 tires come in many popular sizes in authentic tread designs. Provides the most extensive line of vintage truck tires in the world. Backed by our life of the tread warranty. Coker Classic Tires' Nostalgia radial blackwall tires. Worlds first modern radial construction wide whitewall. DOT and ECE approved. Vintage profile perfect replacement for bias ply improved handling and ride over bias ply. All season tread design. Since 1995.